A history of Arctic land temperature anomalies from 1880 through 2006 is shown in this figure. 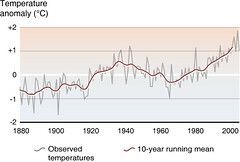 The zero line represents the average temperature for 1961–1990. In the late 1800s the Arctic was relatively cold, although there is some uncertainty around these early temperature estimates. The Arctic warmed by about 0.7ºC over the 20th century. There was a warm period in the 1920s to 1940s and cold periods in the early 1900s and in the 1960s. 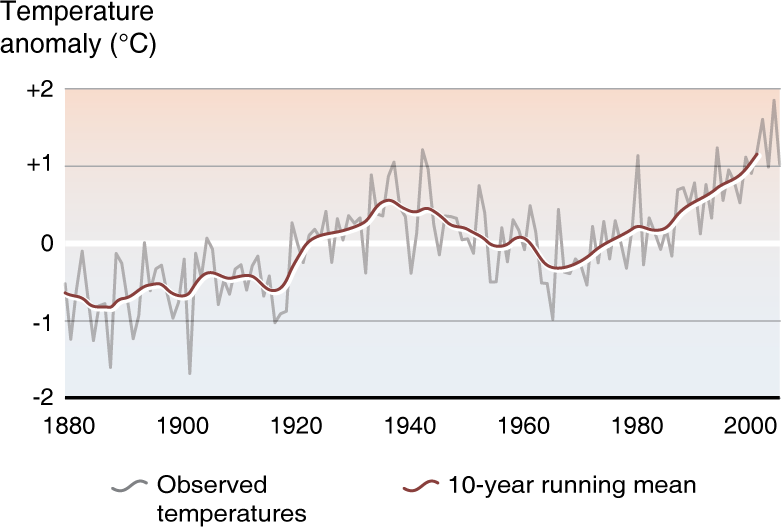 Over the last decade the temperatures were about 1.0ºC above the 20th century average.